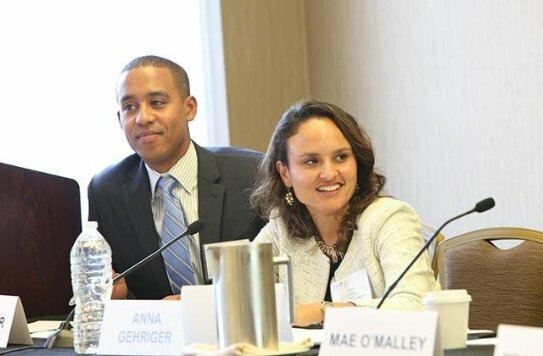 Associate Anna Gehriger moderates a panel at the California Minority Counsel Program’s 25th anniversary business law conference in 2015. We long ago established our core philosophies of mutual respect within our workforce and equal treatment for all, regardless of gender, race, national origin, religion or sexual orientation. One of our founding members, Robert K. Phillips, holds a Master in Theology from Boston University where he majored in social ethics and social justice with an emphasis on minority inclusion issues. Mr. Phillips has been active in diversity and inclusion issues his entire adult life and has made his philosophy of inclusion a cornerstone principle of the firm. To this end, we actively publish our minority and female hiring initiatives and aggressively pursue qualified applicants. However, our lawyers’ outstanding qualities are not measured just by ethnicity, race or gender. From newest associate to named partner, all of our lawyers directly manage case files. We encourage our minority and female attorneys to participate in minority and female professional organizations, and we are proud of the fact that our practice is composed of over 60% female and over 40% minority attorneys. We look forward to an increasingly diverse partnership. We are a member of the California Minority Counsel Program, and we have also instituted and annually fund Fellowships for Minorities at three major law schools. 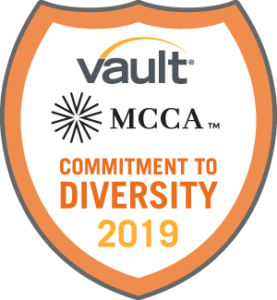 Our firm is also the proud recipient of the Diversity Gold Seal from Vault and the Minority Corporate Counsel Association (MCCA™) for its efforts to foster and enhance diversity in the legal community. Associate Anna Gehriger chairs the Barristers’ Diversity Committee, which organized a diverse panel of law school administrators to educate attendees about career opportunities at law schools: http://www.law.ucdavis.edu/blogs/Deans/posts/basf-presents-exploring-careers-in-law-school-administration.html. Partner Bradley Jameson was recognized by Legal Aid of Napa Valley for his Outstanding Pro Bono Legal Services in partnership with Legal Aid of Napa Valley in 2012. The Barristers Club, BASF’s new attorney division, announced the officers for the 2013 Board of Directors. Read more at: http://www.sfbar.org/newsroom/2012/20121025.aspx and http://www.sfbar.org/barristers/board.aspx. In July 2011, Anna C. Gehriger became a member of the California Bar Foundations’s Scholarship Alumni Steering Committee. For more information, please visit http://www.calbarfoundation.org.